Answers in Genes: Kindle bells. Season's Greetings, Happy Holidays, Merry Christmas and all the rest! 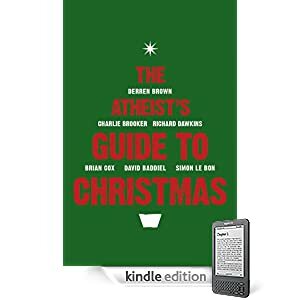 Amazon has the "Atheist's Guide to Christmas" reduced to £2.99 for the Kindle edition. And it looks like there is a new edition about to hit the e-shelves too. 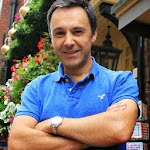 Here you'll find uplifting and seasonal offerings from the likes of Ariane Sherine, Richard Dawkins, Derren Brown, Brian Cox and many more. Christmas is a time for sharing, loving, giving, peace and joy. Spread it around - Christmas is for everyone, and the myths and rituals just add to the fun. "It was as if these men and boys had suddenly dived into past ages, and fetched therefrom an hour and deed which had before been familiar with this spot. The ashes of the original British pyre which blazed from that summit lay fresh and undisturbed in the barrow beneath their tread. The flames from funeral piles long ago kindled there had shone down upon the lowlands as these were shining now. Festival fires to Thor and Woden had followed on the same ground and duly had their day. Indeed, it is pretty well known that such blazes as this the heathmen were now enjoying are rather the lineal descendants from jumbled Druidical rites and Saxon ceremonies than the invention of popular feeling about Gunpowder Plot. Moreover to light a fire is the instinctive and resistant act of man when, at the winter ingress, the curfew is sounded throughout Nature. It indicates a spontaneous, Promethean rebelliousness against that fiat that this recurrent season shall bring foul times, cold darkness, misery and death. Black chaos comes, and the fettered gods of the earth say, Let there be light." Good call, Graham - it's been a while since I read Hardy - a marvellous irreligious freethinking author. Let there be light, indeed!